Road salt, sleet and snow that comes with Winter can inflict a lot of damage to your car’s paint finish, and can even damage it permanently. 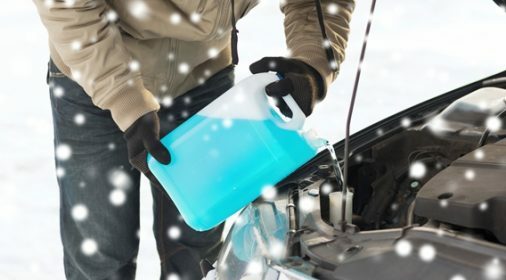 Winter weather can dull the shine on your car’s paint finish, and also make it more susceptible to rust and corrosion. So how do you protect your car’s finish in the Winter, when the road is coated with grit and the weather conditions are terrible? 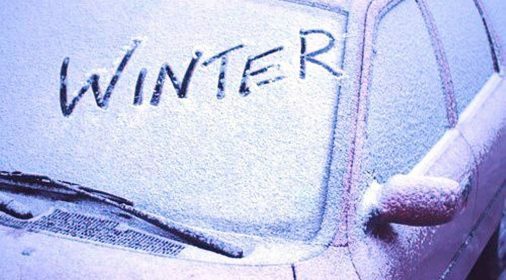 Here are our top 5 reasons as to how you can care for your paintwork in the Winter. To ensure that your vehicle is protected at all times throughout Winter, you should thoroughly wax your car before the freezing weather hits. Carnauba wax is a popular choice for adding a shiny and glossy finish to your car’s paintwork. In order to achieve that showroom finish, make sure that you wash and polish your car before applying wax. Alternatively, a polymer wax or Turtle wax can be very resilient in protecting your car’s paintwork in the Winter. A thick coat of either of these will act as a shield against snow, wind, sleet and rain. If water gets trapped under previously cracked paintwork in the Winter, it is likely that this will turn to ice and expand, further popping out the paint and causing bubbles to form under the paint. In order to avoid a bigger and more expensive repair further down the line, get your car paint chips fixed sooner rather than later! If you would like to request your free estimate with us today, then just click here to go through to our form. As previously mentioned, grit, snow and sleet are all very harmful to your car’s paintwork, a vinyl wrap can help maintain your paintwork. However, the chemicals in road salt are particularly destructive to vinyl wraps, so it’s important to get have your vehicle cleaned as often as you can, preferably every week or two. See the point below for more about washing your car to protect your paintwork. If you’re wondering what vinyl wrapping is, see our previous blog post on vinyl wrapping to find out more. Road salt, dirt, sleet and snow all cling to your car which is destructive to the paint, therefore it’s important to wash all this off on a regular basis, about once every week or two, to avoid permanent damage. Use a high-pressure spray when washing so that it cleans your car thoroughly and gets into those hard-to-reach areas. When clearing snow and ice from your car, make sure you use a soft brush rather than a harsh scraper – harsh scrapers are much more likely to scratch paint surfaces. Established over 20 years and as the originators of minor automotive paint repair technology, ChipsAway has built a fantastic reputation for providing high-quality repairs to minor car paintwork scratches, bumper scuffs, alloy wheels, smart repairs and dents to car bodywork – eliminating the inconvenience and potential expense of using a body shop. Click here to request your free estimate.